On Saturday, September 30th, Yogaworks of Santa Monica celebrated their 30-year anniversary of being in business. The Yoga Studio on Montana Avenue, had a lovely set up with food, balloons, and a harp player to engage people in the festivities. 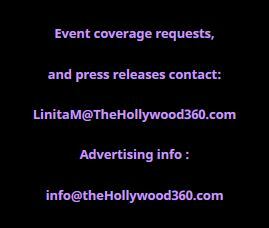 The Hollywood 360 was invited to the celebration by Christine Peake of the Peakprgroup. Shaka Smith, an actor, and Fitness Guru came to the Yogaworks celebration upon the invitation of Christine Peake. He practices yoga as one of the ways to stay fit and showed off some of his poses in a photo shoot. This young man hails from Miami. He is a Princeton graduate and also graduated law school. Upon arriving in Los Angeles, Shaka landed several roles as a fitness model. Shaka began competing in fitness competitions and has won several awards. He changed his diet to become a vegan and has become a leading fitness model in the industry, sponsored by Garden of Life. In 2015, Shaka, began hosting a legal news show, Justice Is Served on the Black Hollywood Live Channel on the AfterbuzzTV Network. He continued to pursue his love for fitness by also hosting Fit Club, a weekly show aimed at full inclusion of health and fitness amongst minority communities. While at Yogawork’s celebration Shaka enjoyed the delicious food and drinks that were supplied by different merchants participating in the afternoon’s fun. Yogaworks was thrilled to have the support of Montana Avenue businesses who supported them, plus other Santa Monica business. The following were the sponsors for Yogaworks 30th Year Anniversary Celebration. Beyond 02 on Main St.